[INTERVIEW] Drumsound & Bassline Smith About Music & Tour to South Africa! Drum n bass legends Drumsound & Bassline Smith are on the way to Cape Town. Electronic music is eventually starting to have a competitive status in South Africa. No longer are conventional festivals solely about rock bands or pop bands nor are outdoor festivals about psy-trance alone. Festival organisers are recognising the greater need (and fun) that alternative electronic genres provide. Each year the electronic music stages progress, supplying more acts, more visuals and more bass to every event. But these things don’t just happen over night. Smaller projects and events are the building blocks that have built and exposed listeners to new electronic music, increasing the interest and support thereof in South Africa. Homegrown is one of these fundamental events. Now in its 11th year, Homegrown has been a monthly event held at Mercury Live that has provided Cape Town with quality drum n bass for more than a decade. In recent years there has been a little drum n bass tent at Earthdance, providing an alternative to those who believe in the cause but not so much psy-trance, again this was furnished by Homegrown. Run initially by Animal Chin & 500 Mills of Counterstrike fame, each month Homegrown is a guaranteed dirty-do, with lots of phat bass, new and experimental drum n bass and most importantly, passion from the DJ’s. Niskerone‘s weekly party It Came From The Jungle has solidified Cape Town’s love from drum n bass, recently relaunched with the reopening of Fiction, as well as Rudeone‘s Science Frikshun for our brothers and sisters in Johannesburg. This May’s Homegrown is no different, with the brand pushing for the talent and exposure of quality drum n bass in Cape Town, they have teamed up with Science Friction (Johannesburg) and Niskerone’s It Came From The Jungle (Cape Town) to host one of the globes most formidable producers: DRUMSOUND & BASSLINE SMITH! BCTC: You’re heading back to South Africa, when you started DJing / producing did you ever imagine you’d travel to far and remote locations? Or was that your goal? DS&BLS: It wasn’t necessarily an initial goal when we first started producing because we didn’t imagine dnb would spread throughout the world like it has over the last 20 years or so. Fortunately it is now present worldwide and we are very privileged to travel, meet foreign fans and see these beautiful places. BCTC: How did the Drumsound & Bassline Smith collaboration start? BCTC: How do you know when you’ve written something good? DS&BLS: Generally the best way to tell if it’s a good tune is to test it out at a rave.. If the crowd goes mad and gives it a “rewind” then its a good tune. BCTC: You’ve been called on to do so many remixes, is it more difficult putting your sound into a song or ensuring you don’t lose the essence of the original track? DS&BLS: Its hard but essential to get the right balance between our sound and the essence of the original track. We try to encapsulate a positive dance floor vibe to all our remixes ensuring that it gets the crowd moving and to gain the support from the right dj’s. BCTC: At this stage of your career, are you still influenced by other artists? If so, whom? Or is your focus on developing your own sound? DS&BLS: We are definitely influenced by other music and musicians. It helps to keep our music relevant and fresh with current sounds and trends. BCTC: You plan to incorporate dubstep into your next album, what’s your preferred dubstep sound? DS&BLSWe like all types of dubstep and music / dance music in general so its hard to say a specific favourite but we have a lot of different flavours on the album and some drumstep too. BCTC: The UK seems to have a lot of support infrastructure for electronic music in festivals, radio & labels. The rest of the world seems behind the times. In your opinion, are you convinced the rest of the world will catch up to the UK or not so much? BCTC: What can fans expect from your work / label in the future? BCTC: Apart from DJing, is there anything else you hope to do in RSA? Tourism is big here. 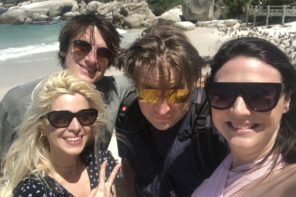 DS&BLS: As Drumsound & Bassline Smith has toured before in 2010 we always enjoy the beautiful scenery, beaches and particularly the friendliness of the people of South Africa and are really looking fwd to coming back to such a wonderful and diverse country. 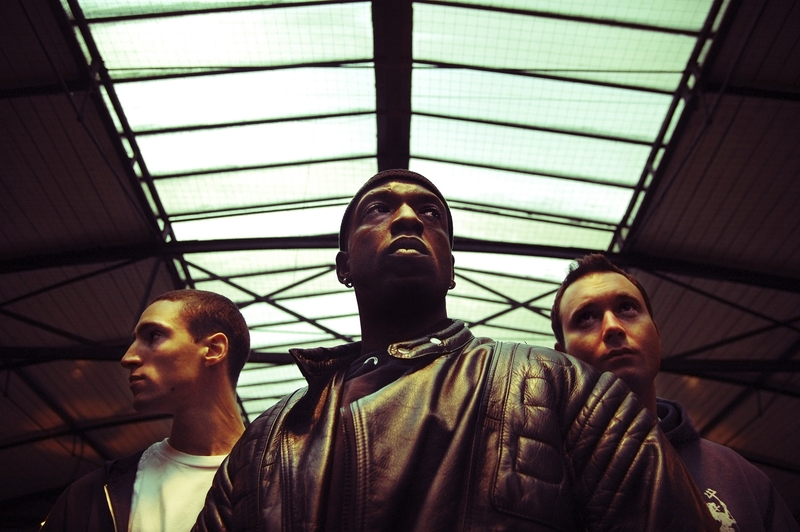 Thank you to Drumsound & Bassline Smith for their time in answering these questions. We’re chomping on the bass bit to party with you in Cape Town & South Africa again, so thank you! Their tour kicks off this Thursday, 26th at the newly relaunched FICTION for It Came From The Jungle, the tour then moves to Port Elizabeth on the 27th, Johannesburg on Saturday April 28th at Science Frikshun, Origin in Durban on the 4th of May then and wraps up at Homegrown on May 5th. Last night at Fiction was absolutely off the wall!!!!! Such a treat to have these guys here!!!! Enjoyed every sweaty second of it!!! DJ A33!! !